Brown ground beef in a skillet over medium heat. Drain off fat. 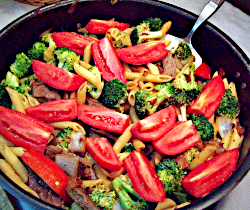 Return meat to skillet and add frozen broccoli. Reduce heat to medium low and continue cooking, stirring often to break apart frozen broccoli. Heat water in a saucepan on high until boiling. 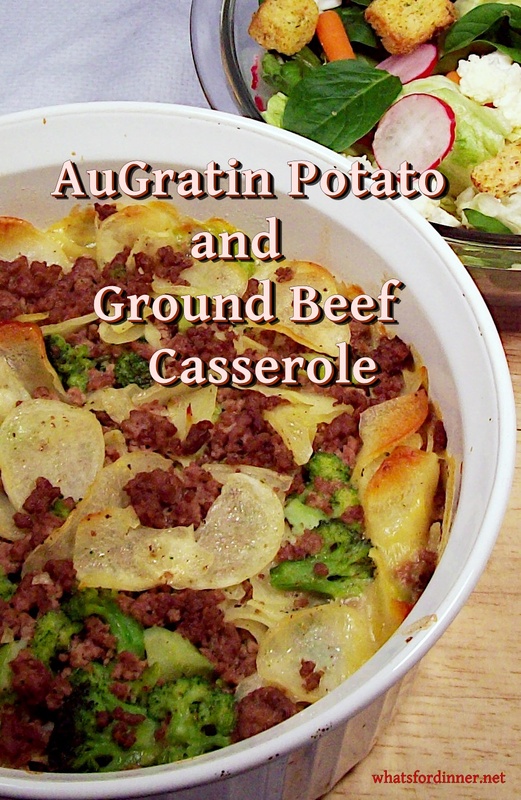 Place au gratin potato mix in a casserole dish along with seasoning packet. Pour in boiling water and stir to mix. 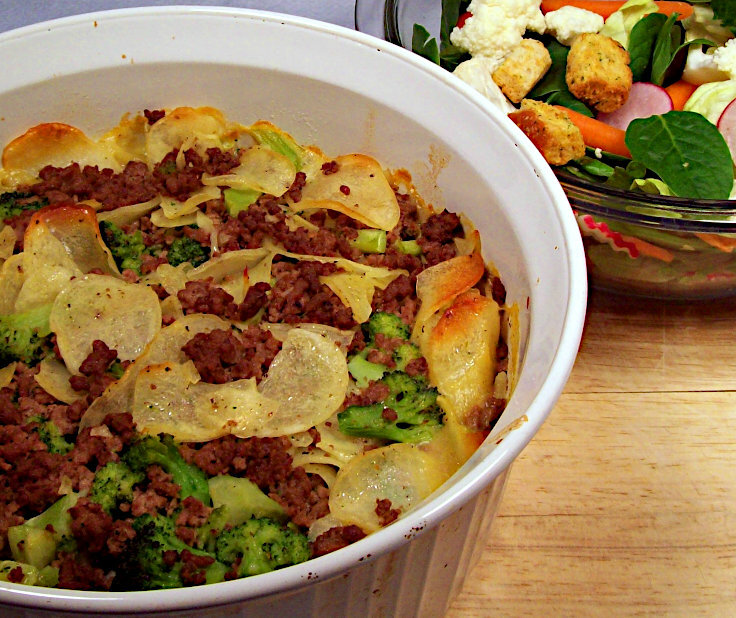 Pour meat and vegetables into casserole dish with potatoes. Stir well to mix everything evenly together. Place in hot oven and bake for 20 minutes or until all moisture has been absorbed and casserole is lightly browned.